It’s only natural for first-time visitors to a place not to know how things work there. 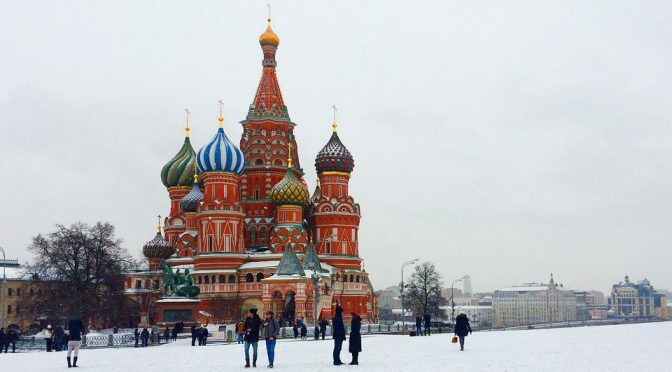 It seems that when it comes to visiting Russia, there are quite a few things to keep in mind. From who to smile at to how to drink your vodka and where to shake hands, Russians seem to be very particular about their way of life. No visitor should go to Russia without knowing these things, so pay attention. Muscovites’ “face control” is notoriously strict, so you’d better make extra effort to look great when you hit the clubs, posh restaurants, and theaters in the Russian capital. For women, high heels and nice dresses are a must, while a total black look usually works fine for men. In Russia, if you invite someone out to eat, irrespective of their gender, you are considered the host and expected to pick up the tab. Asking to go Dutch when you invite someone out is considered rude. Do you enjoy your mix of vodka and orange juice back home? Forget about that in Russia. Here, it is something of a sin to mix vodka with anything. In fact, Russians drink their vodka in shots so a slice of lemon may be something you can ask for if you need to wash yours down. You can also order vodka snacks to accompany your drinks, as this is traditional and totally acceptable in Russia. Russia may be super cold, but make sure to take your gloves off before you shake hands with someone. It is considered absolutely unacceptable and impolite to greet someone with a handshake when your gloves are still on. Another thing to be careful not to do is to shake hands at a threshold, as Russians consider it bad luck to do so, believing it will lead to an argument. In much of the rest of the world, smiling at someone you see on the street or a line at the supermarket is very natural and a sign of friendliness. In Russia, however, people reserve their smiles for their friends and family. In fact, they have a saying: “To smile without a reason is the sign of a fool”. You can laugh with and joke about a number of things in Russia – from religion and politics to gender jokes. But you can never ever make a joke about someone’s mom, as it is certain to cause great offense and result in a massive argument. Mother is sacred and very much respected in Russia. Well, now you know the basics about it, visiting Russia will be trouble-free and lots of fun for you. Why not plan your next trip there? If you enjoyed this article, we’ve got more travel and culture articles for you. If you want to discuss Russia further with a native, there are lots of lovely Russian ladies you can meet on AnastasiaDate today. For more about us, find us on Wikipedia.